Item # 306944 Stash Points: 3,195 (?) This is the number of points you get in The Zumiez Stash for purchasing this item. Stash points are redeemable for exclusive rewards only available to Zumiez Stash members. To redeem your points check out the rewards catalog on thestash.zumiez.com. 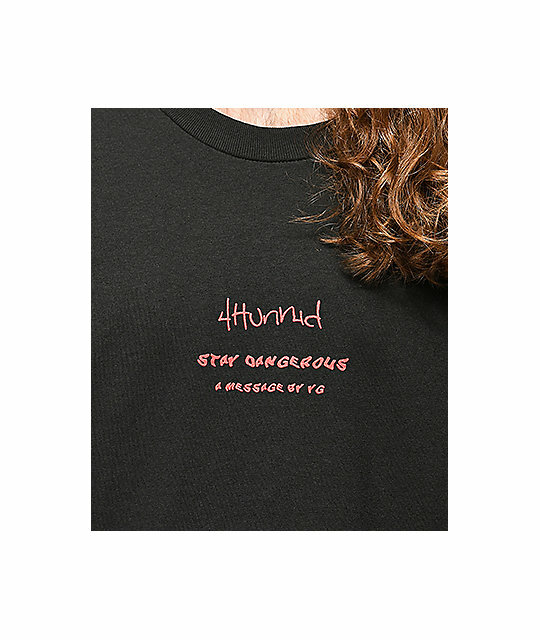 Keep your wild streak going in the Stay Dangerous Twist tee from 4Hunnid. 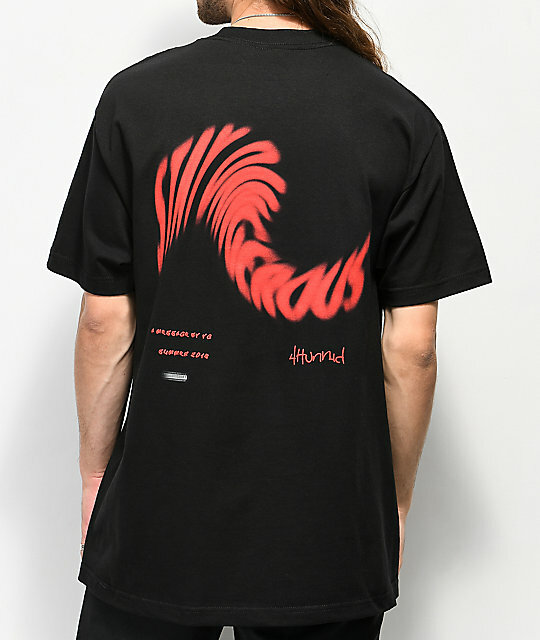 A black, 100% cotton short sleeve tee shirt features red 4Hunnid and "Stay Dangerous" text at the chest while a twisted and blurry "Stay Dangerous" graphic is printed in red on the back. 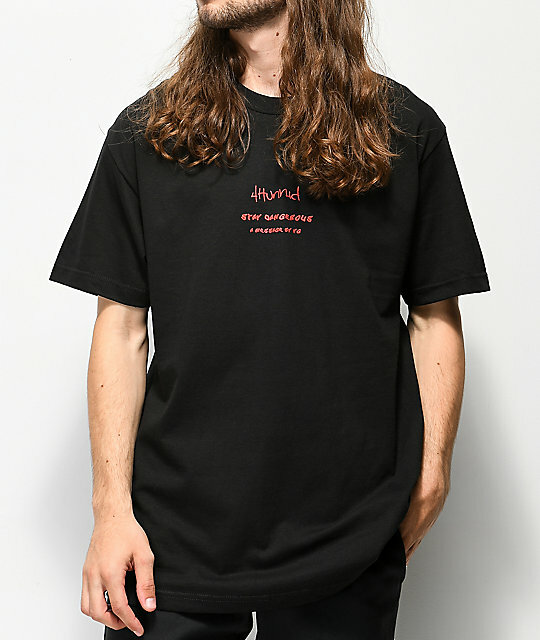 Stay Dangerous Twist Black T-Shirt from 4Hunnid. Screen printed text and graphics at the chest and back.